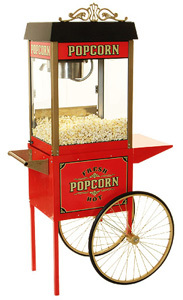 Benchmark's 6oz Street Vendor is styled after the boardwalks of Coney Island. 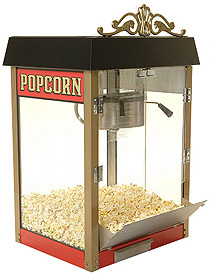 This popcorn machine offers a unique gold color posts with turn-of-the-century style graphics. 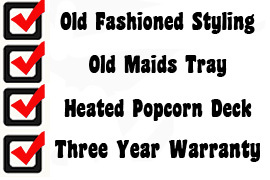 This machine offers both a lower heating element and lower old maid's tray. 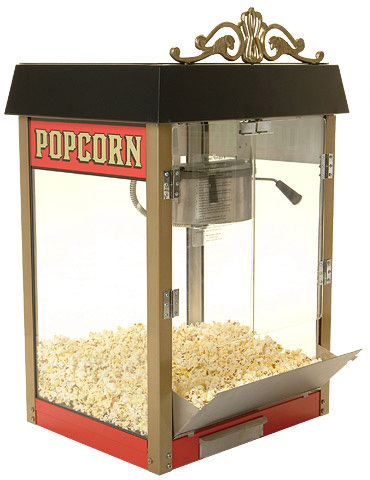 The Street Vendor 6oz popcorn popper features switches that are on the ceiling of the machine for easy operator use. This machine offers a Three year warranty.